Hello folks! I hope your day is enjoyable. We are in the thick of it. Can you feel it? War is about to come to all of our kitchen tables, and nothing will be the same again. As the spoilers are heating up for War of the Spark, you want to make sure that you have answers for the likely planeswalker invasion of kitchen tables everywhere! How are you going to answer stuff? What is your plan? There are lots of answers. Sure, you can just toss in a quick removal spell and move on. 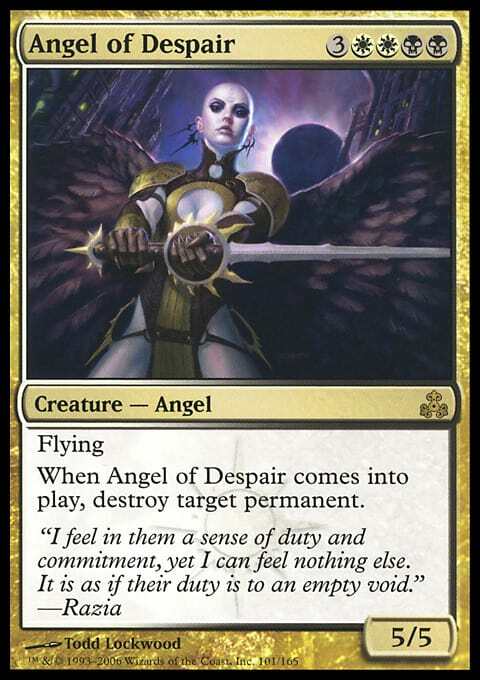 Anyone can add in targeted removal like Bedevil or Vindicate that will hit a planeswalker too, and then move on. 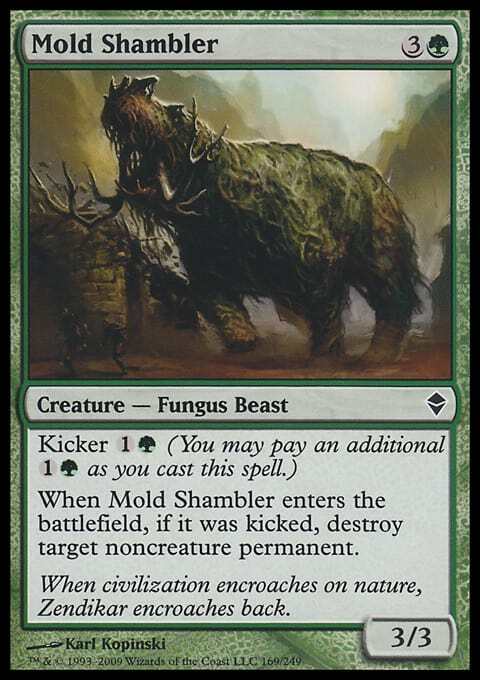 You can layer in cards with enters-the-battlefield effects such as Mold Shambler or Angel of Despair. Sure these cards work. They can supplement other strategies. But just adding one or two of these sorts of cards to your deck and then moving on probably isn’t going to get you anywhere. 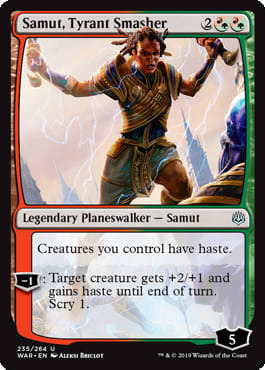 Don’t just think that since a lot of these planeswalkers have just one activated ability twinned with one continuous one, such as Samut, Tyrant Smasher, that they won’t have an impact at your table. Samut, Smasher of Tyrants Named Nicol Bolas is very good. It gives everything haste, like Fires of Yavimaya. You can -1 it to pump something, and scry 1 too. Haste is amazing in multiplayer and formats like Type 4. Given that, you will often want to have a Samut answer, and just having one or three Bedevils in your deck may not be enough. 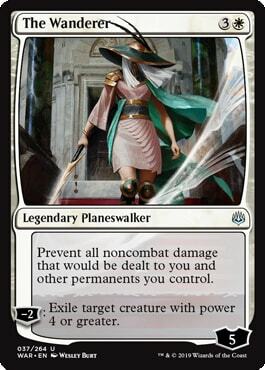 Even these “lesser” planeswalkers are still a problem that you need to solve, and Samut and her ilk are going to need answers. 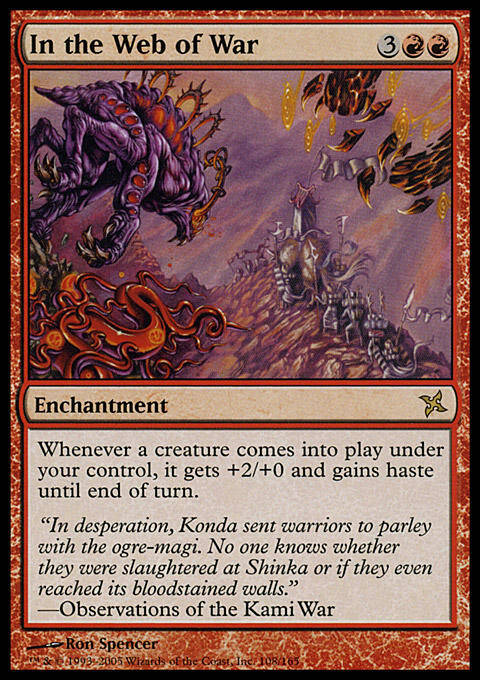 Similarly, cards like Kiora can be card-advantage nightmares and The Wanderer is rough. 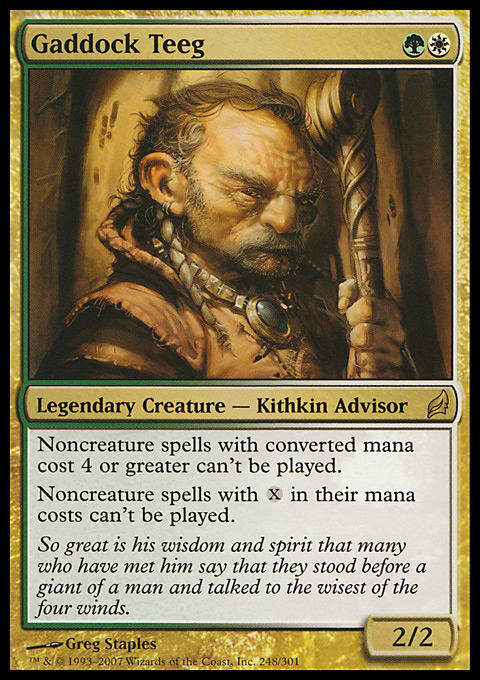 You can normally stop a permanent that draws you cards similarly to Kiora by taking out the creature or enchantment that nets you the trigger. But a ‘walker is often a lot harder. You need answers! Don’t worry. The game has got you covered! 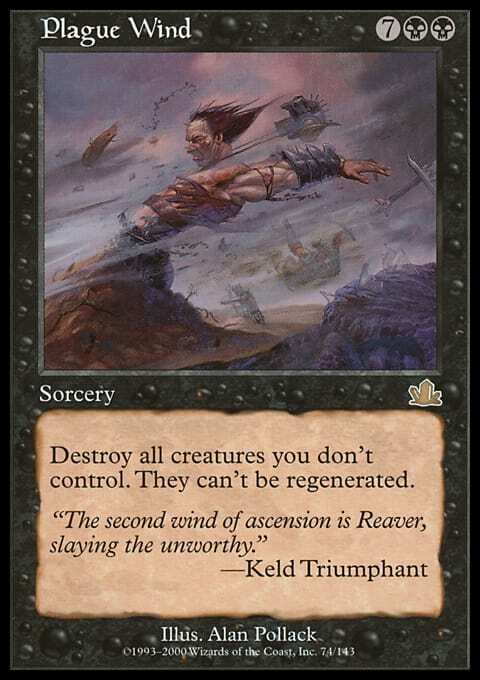 Gaddock Teeg offers a very simple solution to planeswalkers. No casting planeswalkers with a cost of 4 or more! Sure, a few can slip through the cracks hither and thither. But that’s okay, as you lock out almost anything you care about. You also lock down the ability for everyone to cast any non-dork that has the same cost, so you can shut down a lot of Gaddock Teeg removal as well! Gaddock Teeg is more of a proactive answer that punches in the face rather than a reactive one, but it works. 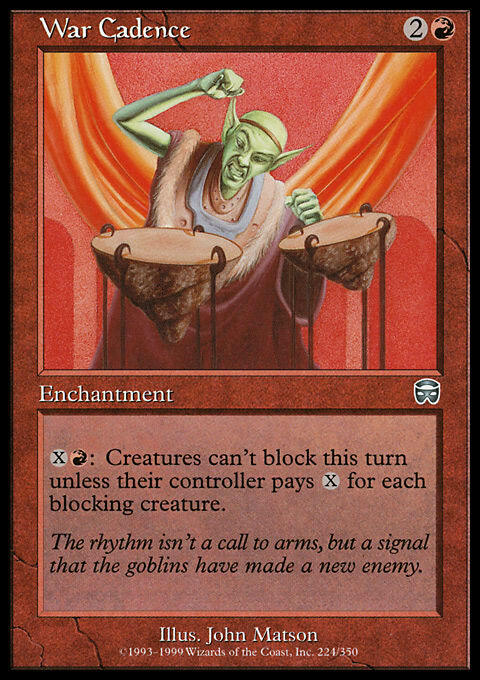 …you are welcome Magic players. You are welcome. This is a reprint (mostly) of the powerful mass removal spell Plague Wind, which was regularly seen at the multiplayer table for a long time. Sure, nine mana. But it would off everything not yours and take out regenerators. 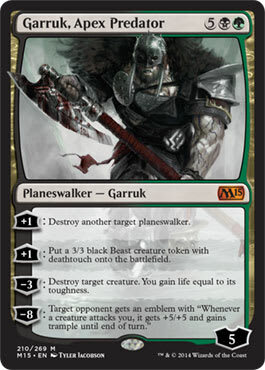 In Garruk's Wake swaps regeneration for planeswalkers, and that’s a strong sub in. That empowers the Wake tremendously! Get it on! 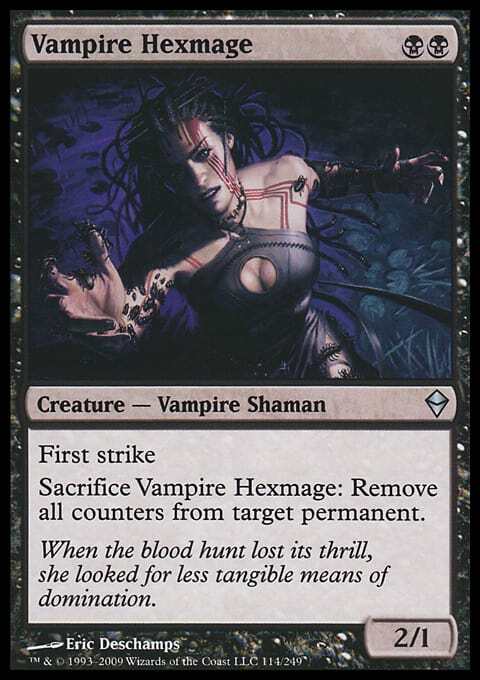 At first glance, Vampire Hexmage may feel like a redubbing of any single-targeted removal spell. Cast it for two mana, sacrifice it, and destroy target planeswalker. However, because it’s a creature, it’s more abusable. You have cards like Nim Deathmantle or Sun Titan that can bring it back for another go. 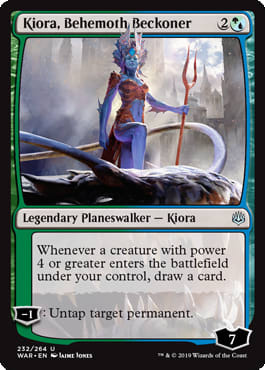 And it’s a body you can swing with or use to pull counters off of other cards too, so it has more value than a more sorcery that destroys target planeswalker. Enjoy! In Garruk's Wake can be a little on the pricey side of life. Know what’s not? These!!! 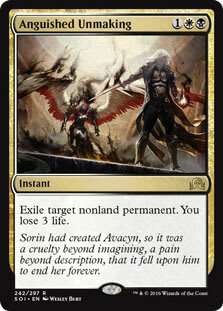 Much like the Wake, these are damaged-based removal effects that hit all planeswalkers and dorks. But unlike the Wake, they hurt you too. Sorry! But they still have loads of value too! Instant and an X spell? Take out indestructible critters too? You can see the value here in both spells. Good job. 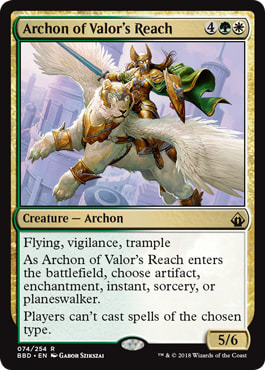 But we are about to see a mass removal spell that’s even stronger for ‘walkers without hurting you in the process. That’s this card! If you are looking for a spell that will take out all planeswalkers but leave everything else as is, look no further. Exile all planeswalkers. Simple. Elegant. Strong. You can also use it to exile any other non-land permanents as you desire, so the mass removal spell is actually quite a flexible one. What do you want to destroy? To end? This has you covered! Forget that Gaddock Teeg guy. Thou shalt not cast planeswalkers! Or artifacts, enchantments, instants, sorceries, etc. 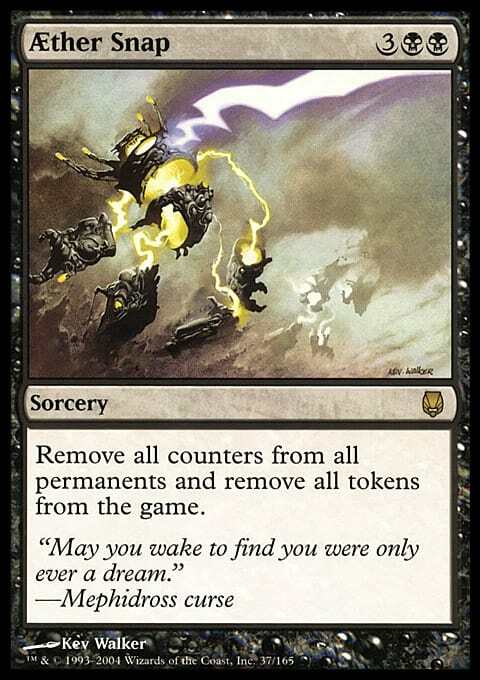 Want to shut down planeswalkers hard? Sure thing! No one is casting them ever again! You’ve got this! 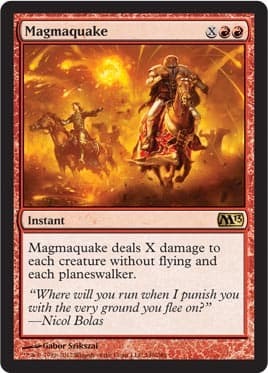 Like Gaddock, this is a proactive punch in the face and the body is a real threat while forcing folks to not cast a card type (other than creatures of course). This is a strong card in many circumstances, so brush them off and give them a look-see after War of the Spark releases! I play this card a lot in my various builds. Commander? Multiplayer? Cube? I love it. It’s a 1-drop that you can always cast, no matter your color (or lack thereof) you begin with. You can Howl from Beyond it and pump it up to smash someone in the face while also pulling counters off of‘walkers. Unlike other options on this list, it sticks around! You can keep on activating it over and over again. You can even toss in non-Black decks (outside of Commander) and just spend some life to begin the activation. I loves it; I runs it. It’s magical. 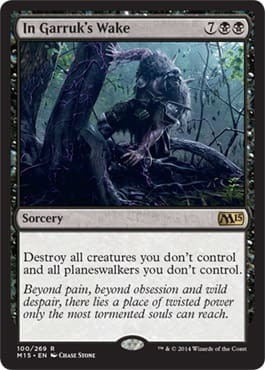 Much like Merciless Eviction, this will destroy all planeswalkers when it resolves. But it does so much more! It will blow up all of those nasty tokens, and there are tons out there! Mimic Vat? Token spewing cards like Grizzly Fate or Army of the Damned? You know it! 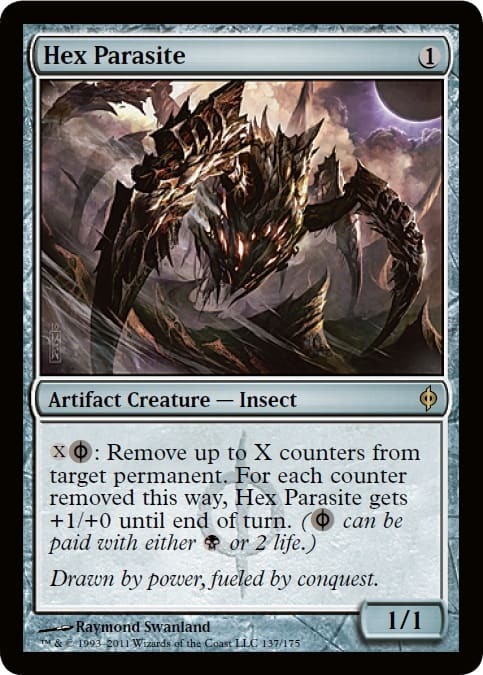 And then you can take out creatures that live by their +1/+1 counters such as Arcbound Ravager or Spike Weaver. Kill them dead! 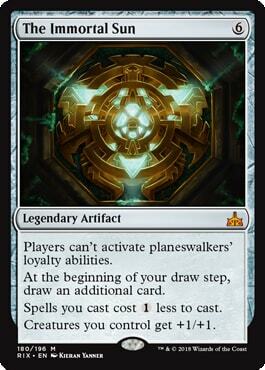 You can pull off all of the cool counters off of cards that would otherwise win the game, like Simic Ascendency or neuter a card like Engineered Explosives. You can reset your age counters for cumulative upkeep or hit the fade counters on a Calciderm. This is a strong card. Don’t sleep on its power! Thief of Blood is! Note that, unlike Aether Snap, it won’t kill tokens. But it converts the destroyed counters into a ton of +1/+1 counters for herself, which is more than enough of a difference to move it to my number two spot. 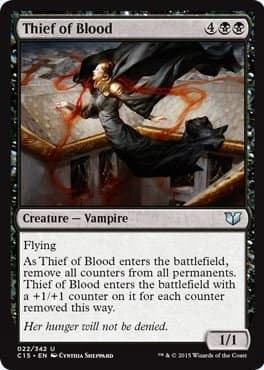 I’ve won games with a 22/22 flyingThief of Blood. And post War of the Spark? Wow! Pick these up! Duh. I can’t end this list on another card. I just can’t do it. You know it’s going to be here. All right, that finishes our planeswalker-fighting fun times. Ready to face off against a veritable horde of planeswalker? I know that I am? What did you think of my list? Did you like my choices? Any disagreements or things I missed? Let me know! © CoolstuffInc.com. All Rights Reserved.